All 2019 Fits are powered by a 1.5L 4-cylinder engine that makes 130 horsepower. There are two available transmissions, a 6-speed manual and a continuously variable automatic transmission (CVT). Power is sent to the front wheels and acceleration is peppy, indicative of the Fit's lightweight and refined engine. Fuel economy is stellar, particularly with the CVT transmission. The Fit comes in four trim levels: LX, EX, Sport and EX-L. Base LX-trimmed Fits come with plenty of standard features including Bluetooth connectivity, air conditioning, power windows, power door locks, cruise control, automatic headlights, a tilting and telescoping steering wheel, a 160-watt AM/FM/CD player, a 5-inch color screen, a USB port and an audio input jack for MP3 players. EX-outfitted Fits come equipped with a smart entry system, fog lamps, 16-inch alloy wheels, hands-free text messaging, push button start, a 180-watt display type audio system with a 7-inch screen, a USB port, Pandora internet radio compatibility and a one-touch power moonroof. A leather interior is optional on the EX and standard on the EX-L. In addition to adding leather seating surfaces, the steering wheel is also wrapped in leather. With the leather option, these trims also upgrade the mirrors to be heated and add integrated turn signals. Navigation is also optional on Fits equipped with leather, a feature which adds Apple CarPlay and Android Auto integration. 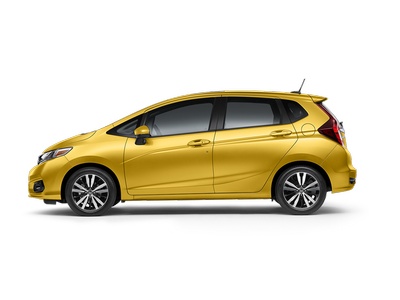 Safety features are standard across all trim levels for the Fit, so even base LX models benefit from the whole host of safety devices available for the car. Honda Sensing is standard on the EX and EX-L trims and optional on the LX and Sport trims. Airbags include front, multiple threshold airbags, side airbags and side curtain airbags with a rollover sensor. Anti-lock brakes, traction control and stability control are all included along with brake assist and a tire pressure monitoring system. 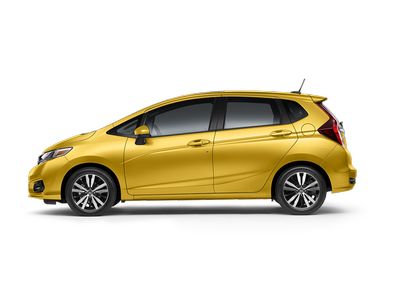 If you would like more information about the 2019 Honda Fit please submit the form below and we will get in touch with you as soon as possible.